ARMED SHEEP is an indie game where you will control an armed sheep whose objective is to destroy all the monsters that want to kidnap and clone you and all the sheep that live with you. By this way the monsters will increase their power and intelligence. 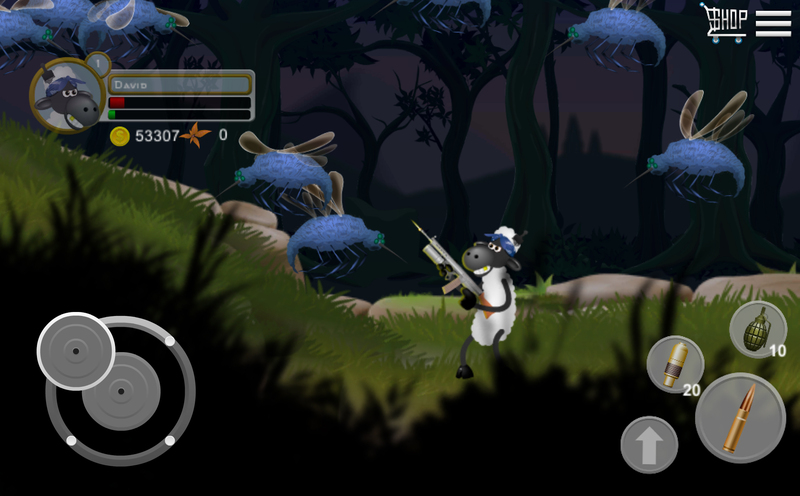 Use the available guns and shoot as fast as you can in all the directions that the monsters appear to stop them from controlling the sheep. 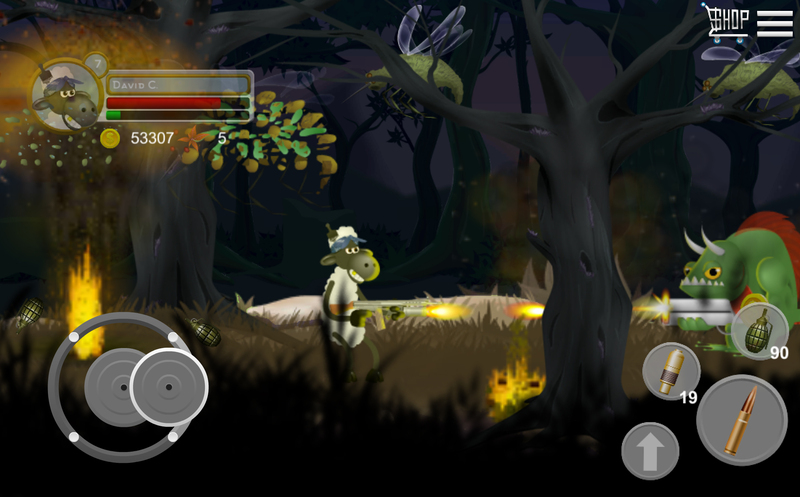 Use grenades to create nice explosions to destroy all the monsters and items that are in the forest. 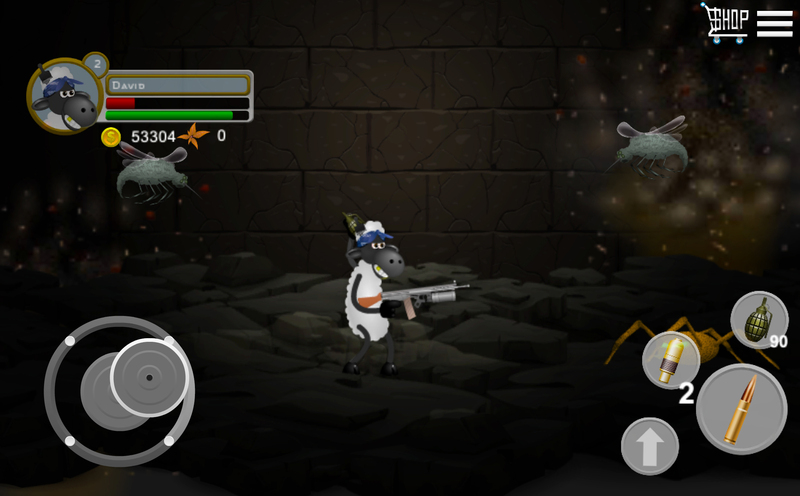 To get experience and new abilities destroy all the monsters. As you level up you will upgrade the abilities, force and intelligence. Several land and flying monsters, with and without guns, increase the difficulty of this challenge, providing an incredible experience! 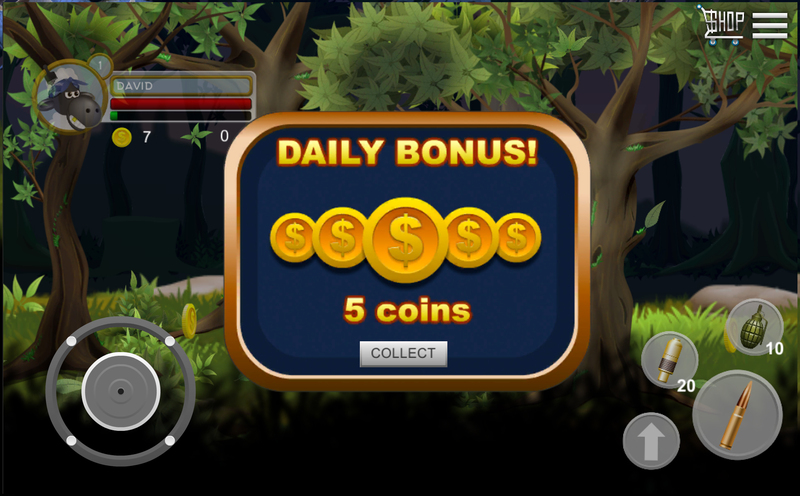 Get daily coins or grenades so that you can win this challenge.